Tom Hiddleston is awesome. He is by far the only character that worked for me start to finish. He plays some sort of former MI6 super nature tracker guy who is hired to guide a group of helicopter pilots and researchers on an uncharted island. How anyone comes out of Kong not begging for Hiddleston to take over as James Bond as soon as possible is beyond me. The mythology works really well too. I love the hollow Earth theory and the nuclear testing waking up ancient creatures. It is just as dumb as Pacific Rim’s hole in the ocean floor but the way it has been presented in both Godzilla and Kong feels more grounded and I buy in. The creatures (not Kong) on the island were a 9 year old’s dream. 40 foot tall spiders, giant buffalo, skull lizard creatures, the pterodactyl looking birds, etc. 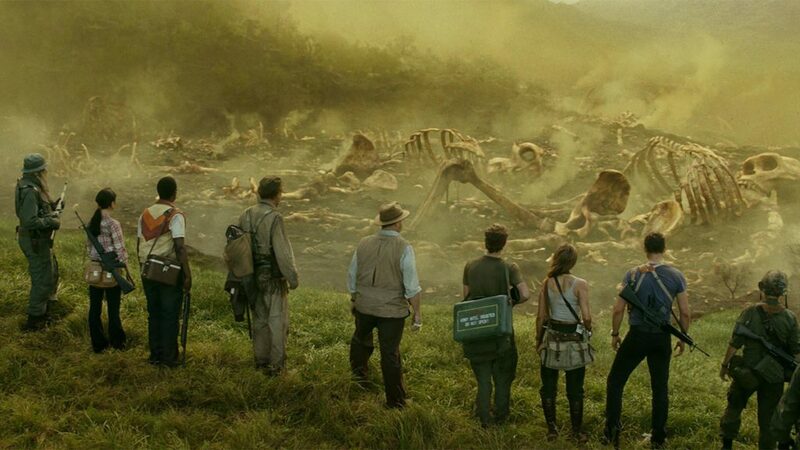 Evertyhing from an imagination stand point was top notch and the design on the native creatures on Skull Island were quite fun. John C. Reilly was also a highlight. I have no idea what movie he was in (more on that later) but he brought every scene he was in to life. He also has the most at stake in the film from a character stand point which is never a good sign when the comic relief is the only real guy worth rooting for. No one in this movie is worth getting attached to as a character BUT John C. Reilly as a WW2 pilot trapped on the island for 28 years was the best. Then you have Brie Larson taking photos and having a connection to Hiddleston by the end. She was the anti-War photographer so she too, has seen some stuff, Man! The group of researchers are the most bland, cookie cutter, central casting, yawn-worthy people in a major film in the past year. Then there are the soldiers who are straight out of Tropic Thunder but I think the director wanted us to take them seriously. Finally, John Goodman has a small role so that he can chew scenery with Samuel L. and bring some gravitas to the “monsters exist” aspect of the plot. Throw in Hiddleston and John C. Reilly and it sounds like I’m describing 5 different movies. Well that is kind of how it felt. Very unfocused and tone shifts that clashed on a regular basis. You can have some comic relief with movies like this but this tried to be something new every minute and the pacing suffered, It would switch from war, to drama, to action, to comedy, to anti-war, to melancholy, to spectacle. It was all over the place. In 2005, Peter Jackson created a masterpiece, as far as character design, with Kong. Rip that flawed movie all you want, but Kong in that film was perfect. From design, effects, character, emotion, and arc. By the end of 2005’s King Kong you knew Kong and were rooting for him. 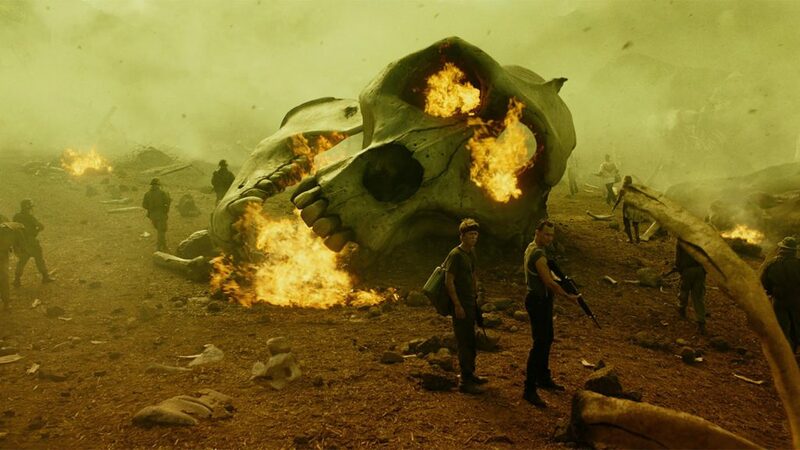 It has been 12 years but somehow this $190 million movie couldn’t bring 10% of Jackson’s Kong into their version. You never know what this Kong is about or see any reason whatsoever to pull for him in any fight other than the movie is named after him. There is nothing spectacular about his design either. Peter Jackson made him a large gorilla, this version is more “man” in appearance and has fewer qualities of a giant ape. 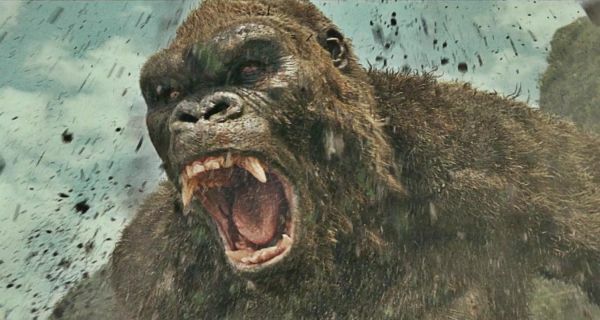 I get it, monsters exist so this Kong is more of a monster but Godzilla (2014) was on screen for 20 minutes of his 2 hour movie and I left team Godzilla. Kong was on screen forever in this one and I could’ve given a crap if he got shot by a Cincinnati zoo keeper after it ended. The best parts of this movie are in the trailer. In fact, I’d argue every single action set piece is fully revealed in the trailers for this one. There is no “HOLY CRAP!” moment to be found or an extension of something teased in the trailer that impressed me one bit. I know it seems like I hated it but I swear I didn’t… I was just disappointed. 2014’s Godzilla is an incredible start to this monster franchise and Kong is apparently the sophomore slump. I hope the writers and whoever directs the inevitable Godzilla v Kong movie takes some time and puts forth the effort to make it worth caring about after the credits roll. I don’t ever want to walk out of a giant monster movie again and shrug it off saying, “Well that exists. I don’t know why and I certainly don’t know who decided THAT was good but its there.” That is not a fun way to walk out of any movie. This entry was posted on Sunday, March 12th, 2017 at 12:10 pm	and is filed under Film, News. You can follow any responses to this entry through the RSS 2.0 feed. You can skip to the end and leave a response. Pinging is currently not allowed. « Edgar Wright’s ‘Baby Driver’ Trailer is HERE!